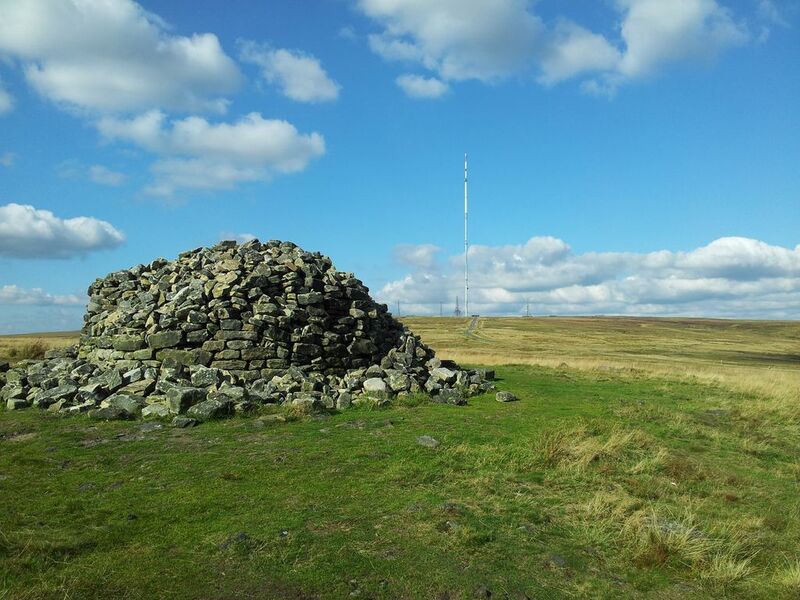 A return to Lancashire’s West Pennine Moors during a Bank Holiday weekend with more time for a longer walk. 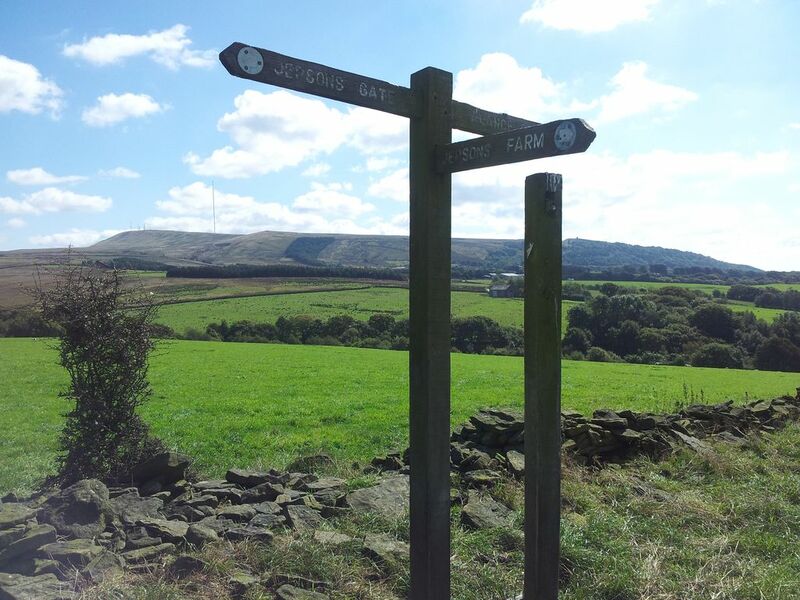 Had heard of the ‘Chorley 4 Peaks’ via Twitter but this started from the town whilst I preferred keeping to the countryside. 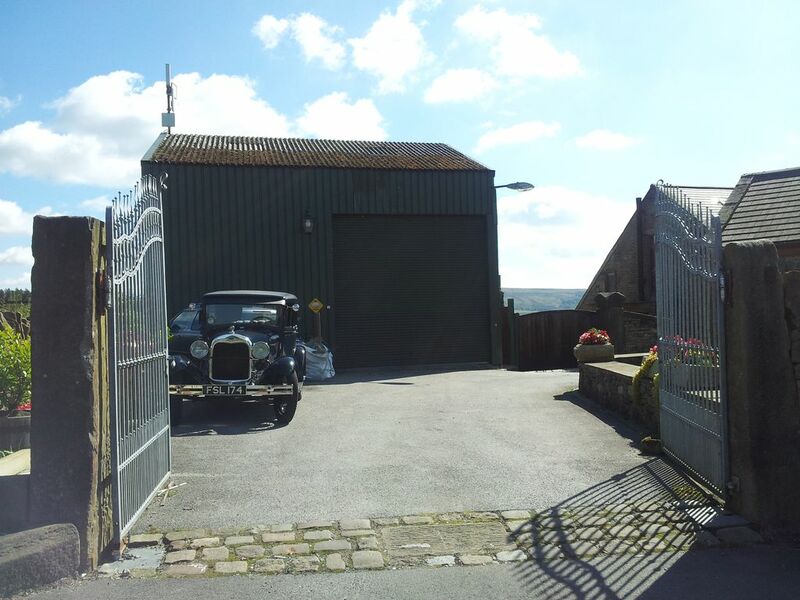 I found a GPX route out to Great Hill from the same Lower House Car Park I’d used last time. 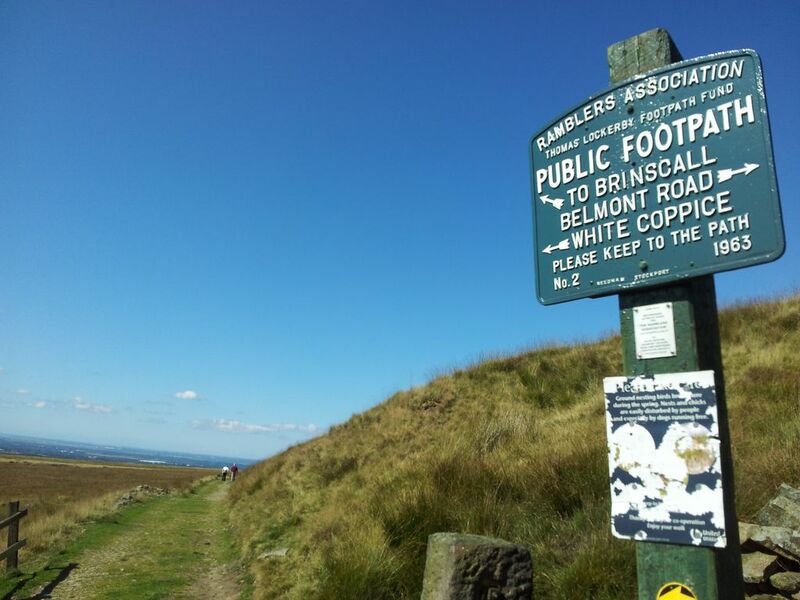 Then by adding my previous route on Winter Hill & Rivington Pike it made an interesting lengthy circular walk. 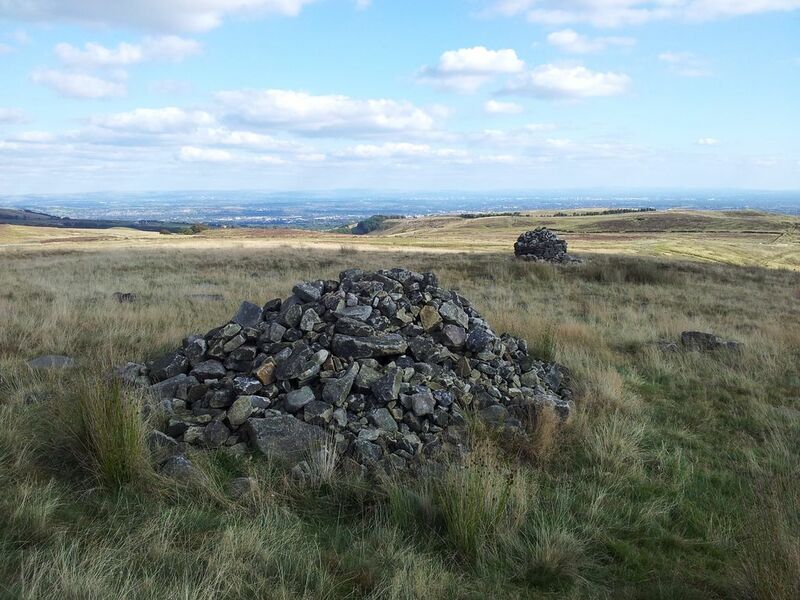 The traditional 4 Peaks route includes Healey Nab so today would be a Chorley 3 Peaks walk. Choosing to go clockwise meant getting the long farm fields approach section out of the way first. 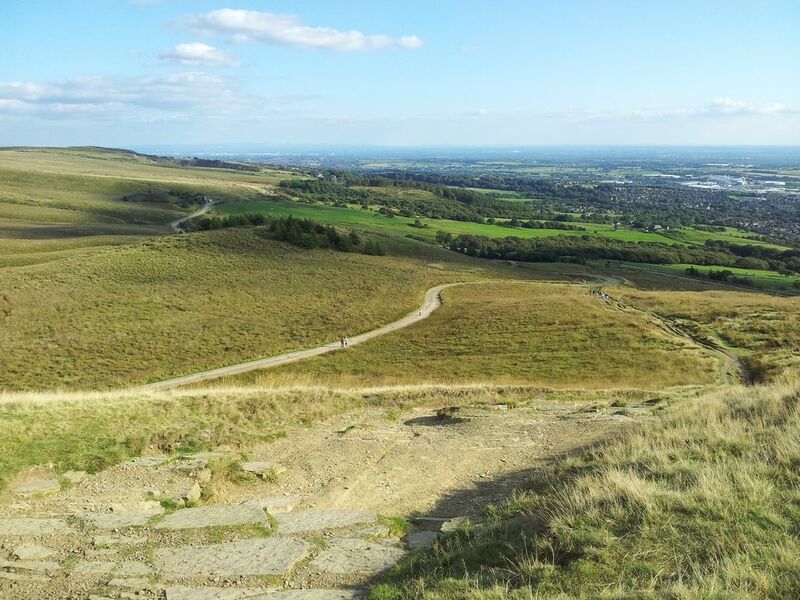 This also had the incentive of finishing on the more interesting higher section to Rivington Pike, leaving just a pleasant downhill stroll to the car. 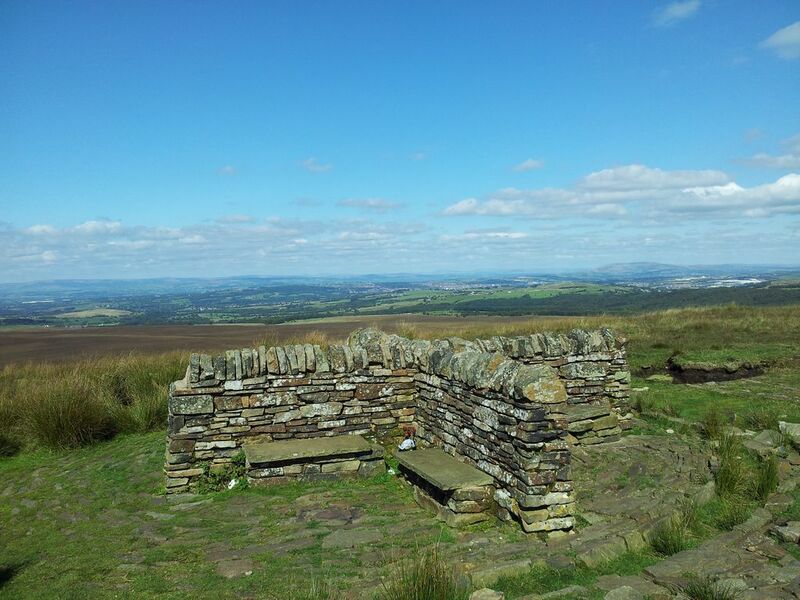 Weather was excellent with equally excellent views over Lancashire and beyond. 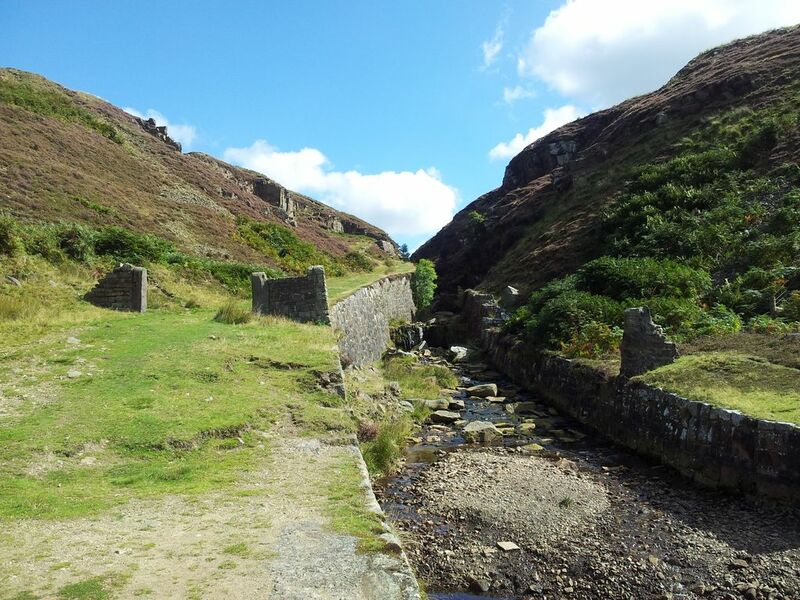 Route Summary – Walks work best in stages, so here’s the 4 stages that worked for me. 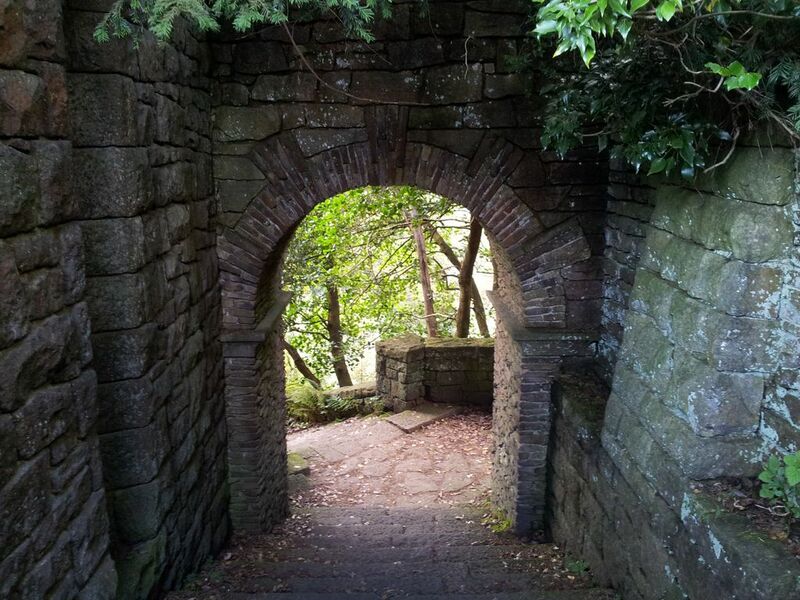 Thanks to David @ashtonkroz for his route on Social Hiking. Starting Point; Lower House Car Park SD6314 (aka Pigeon Tower Car Park), at the end of Belmont Rd off Sheep House Lane. 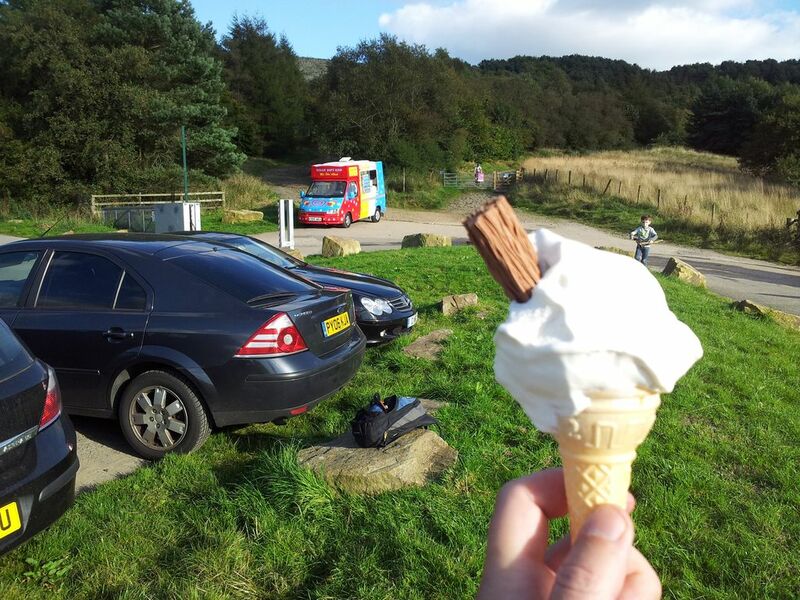 If lucky there’s an ice cream van waiting for you! 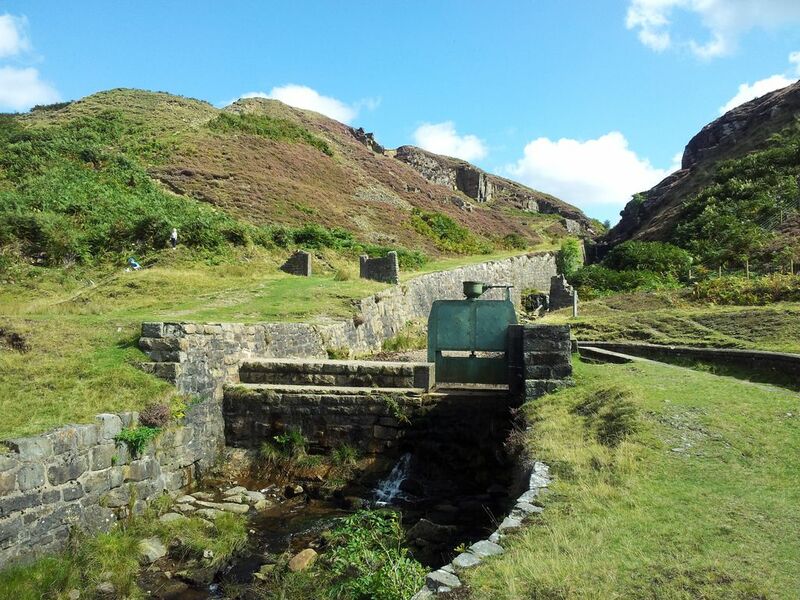 Stage 1 – Lower House to White Coppice; (1 hr 25 mins). 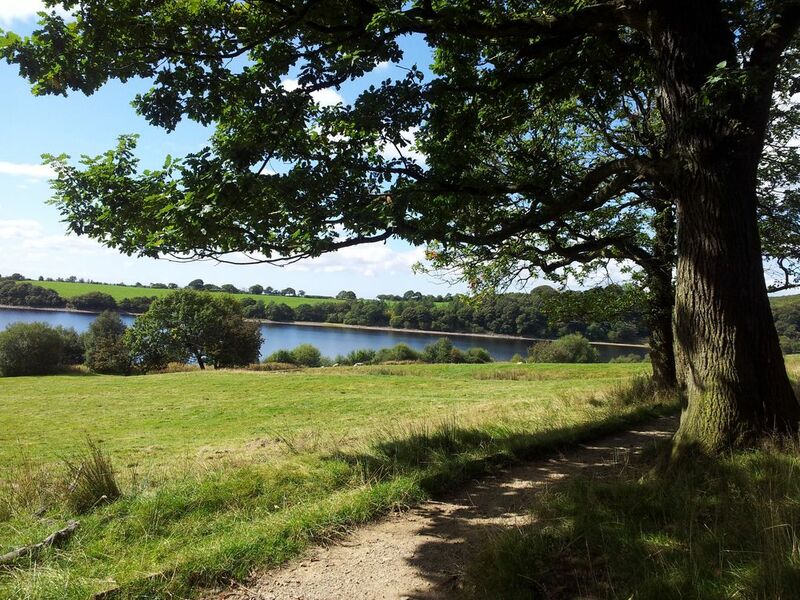 From the car park I walked north west back up Belmont Rd turning right on to Sheep House Lane, along Dean Head Lane to Hodge Brow which descends to Alance Bridge over the River Yarrow and Yarrow Reservoir. Once over the bridge instead of following the road left/west I went straight up through a gate north into the farm fields, along an initial path which petered out. 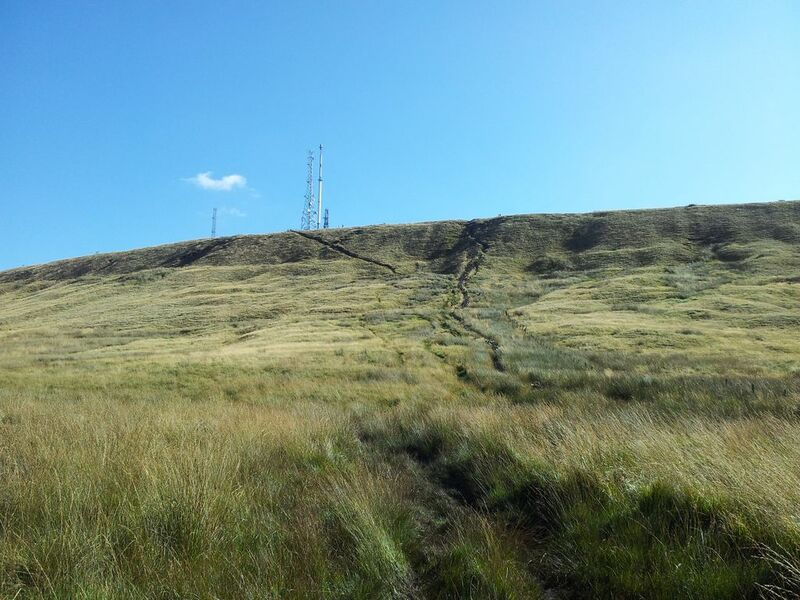 A little height gain gave views back to Winter Hill, that 1,035ft aerial is pretty unmistakable. My downloaded route was a saviour here as it made things extremely easy. 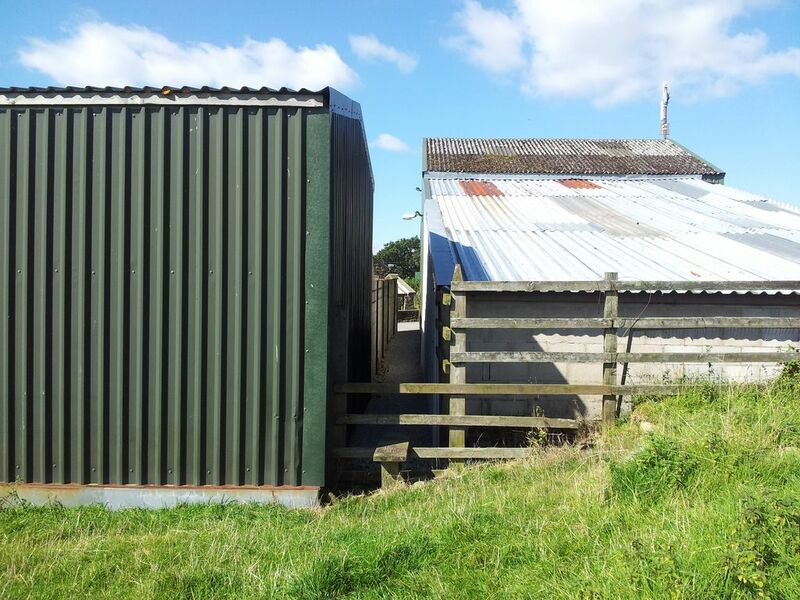 It showed a line through the farmyard below but I couldn’t see any way through. See the green building? 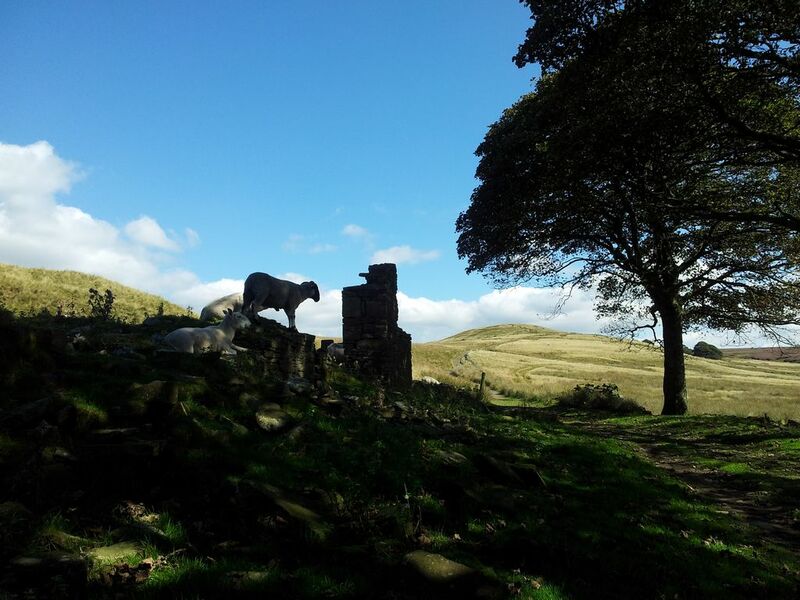 Looked like I was walking into a dead end but sure enough a hidden stile appeared and a narrow path through the farm. Hardly visible until next to the bloomin thing. 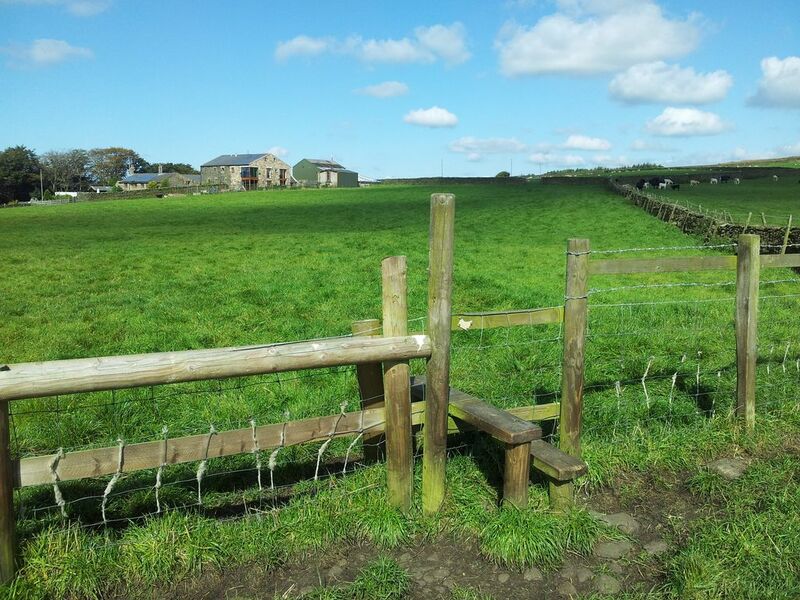 Through the iron gates and along Moor Road a few yards to a stile up & over the wall back into green farm fields. I continued between two sets of trees then negotiated round another farm and back onto Moor Road. Across the road was another stile into another farm field which dropped more steeply down into trees on a good path skirting a small dam turning north west through Spen Wood. Eventually emerging on the east banks of Anglezarke Reservoir. I was very relieved to see the back of the farm fields. The path continued north past families out for a stroll and cyclists out for a cycle. 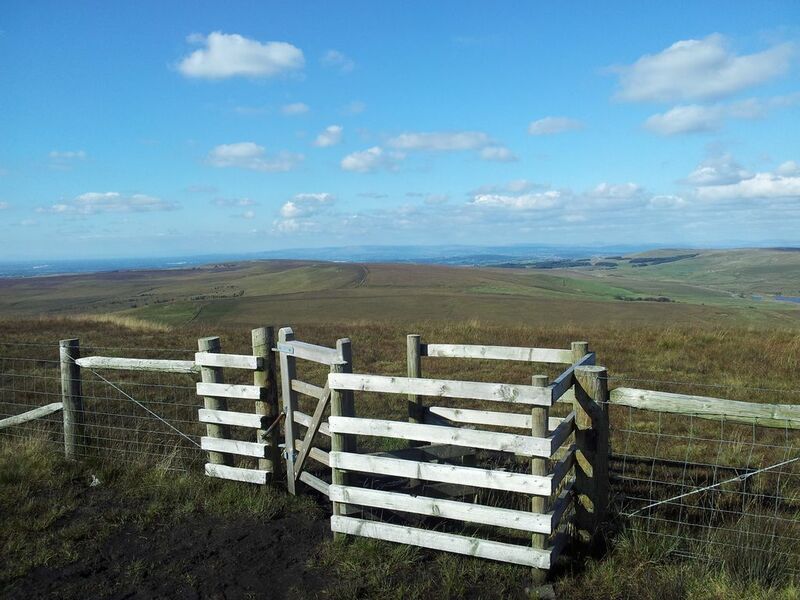 I went wrong a couple of times but let’s pretend that didn’t happen eh:-) Eventually at the north end of the reservoir I crossed Moor Road again, turned left to a wooden gate heading initially east, bending north. 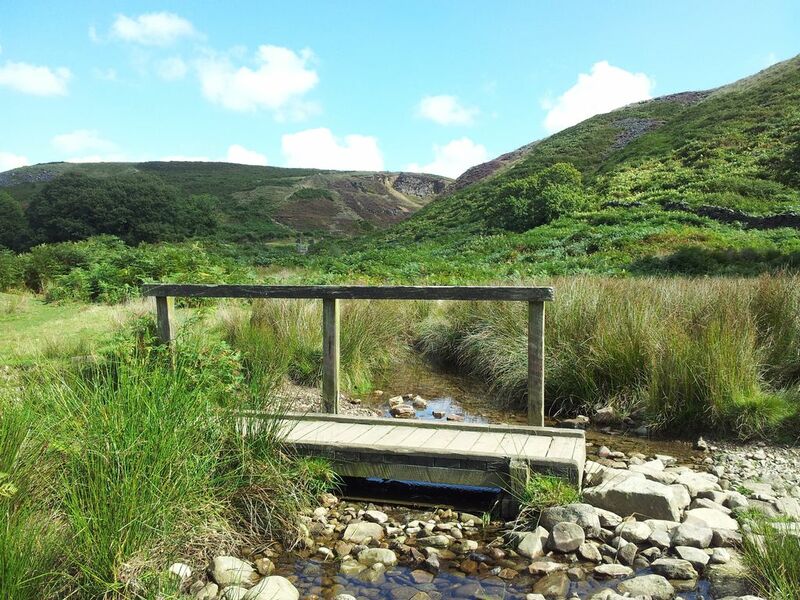 This was an excellent level track following the River Goit out towards the hamlet of White Coppice with the shoulder of Anglezarke Moor to the east. After the long ‘walk-in’ I was really keen to get up onto the open fells. 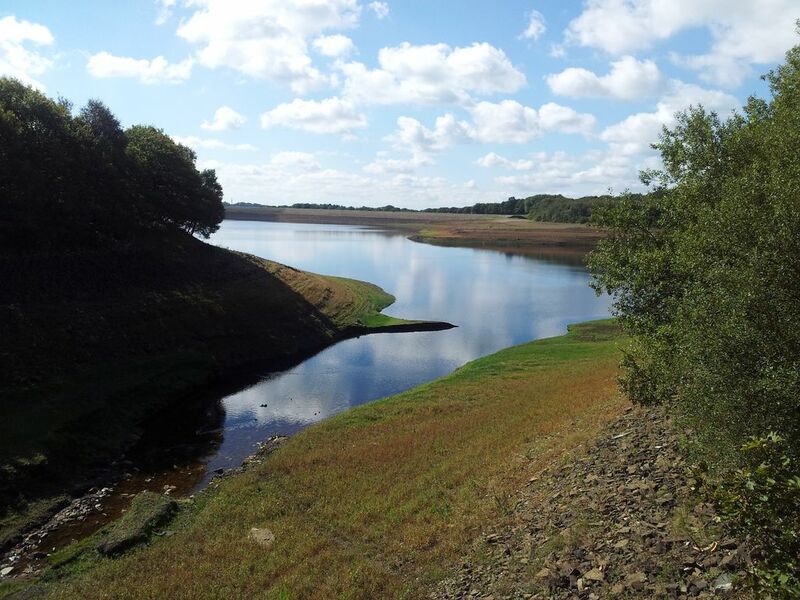 Some superfluous info on the mini Lake District Chorley Reservoir system around here. After 10 mins walking from the road the ascent route came into view and I eagerly headed off towards it from the little footbridge above. This was a bit premature and I should have carried on a few more yards as it brought me to a surprising feature. Only problem was I was the wrong side of it. This was Black Brook, so named due to the peat apparently (even though this made it brown). 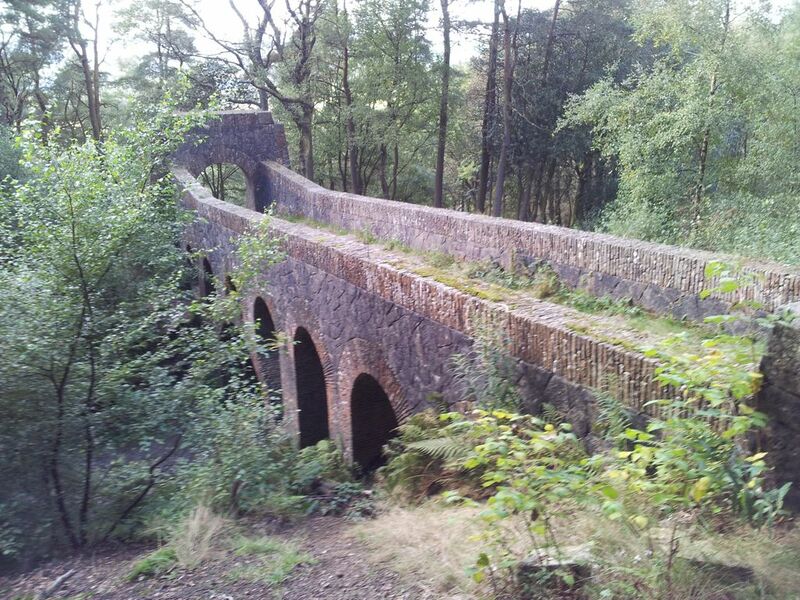 The Brook once powered a water wheel for Leicester Cotton Mill down in White Coppice. Doesn’t look much in the photo but that’s a 5ft dangly drop past the green bit. Rather than just walking back round, I chose to dangle down the dangly bit, it wasn’t elegant but hopefully no one noticed. Sensibly I’ve corrected my slight errors in the Social Hiking route link at the start, I wouldn’t want anyone dangling their dangly bits here. The path climbs up the north side of the Dean heading east. At last after 1.5 hours some ascent and views west to the coast. Also at last I had a 5 min sit down & choccy brownie. Drinkwaters was apparently used as target practice during the second world war, probably less attractive to sheep back then. 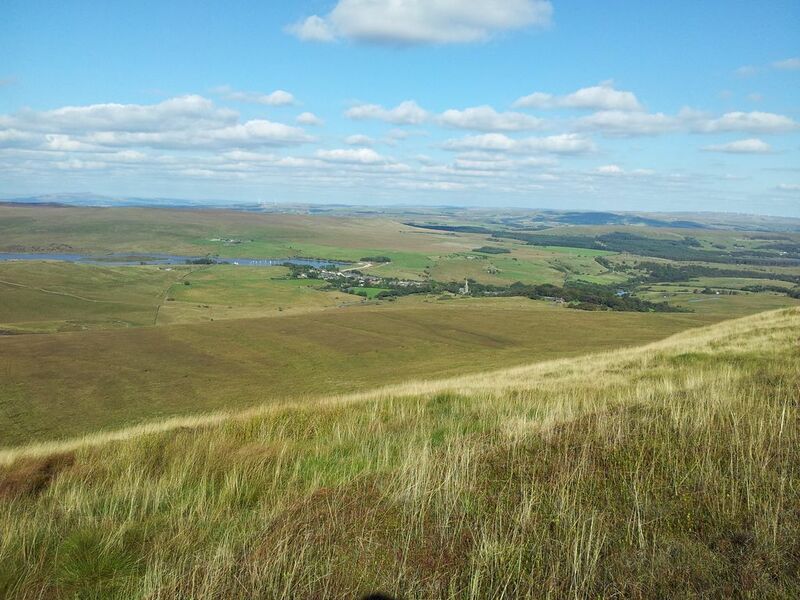 Took less than an hour to reach Great Hill from White Coppice inc a 5 min break. 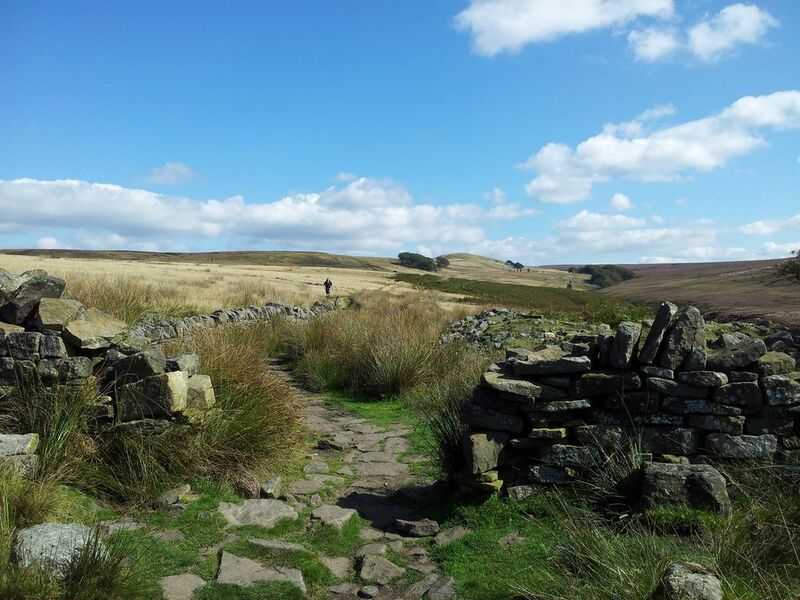 A really good path and a gentle angle made for good progress into the West Pennine Moors. 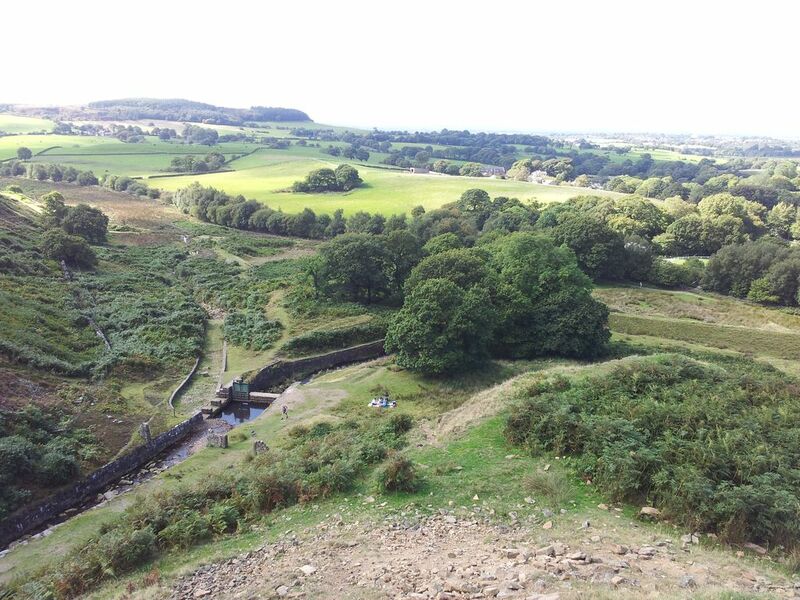 Great Hill is merely the 1,252ft high point of a flattish mound but the views really are Great. And the other Great thing was I was completely alone up here, even for 15 minutes of Great viewing appreciation. I got the binocs out, it was Great. 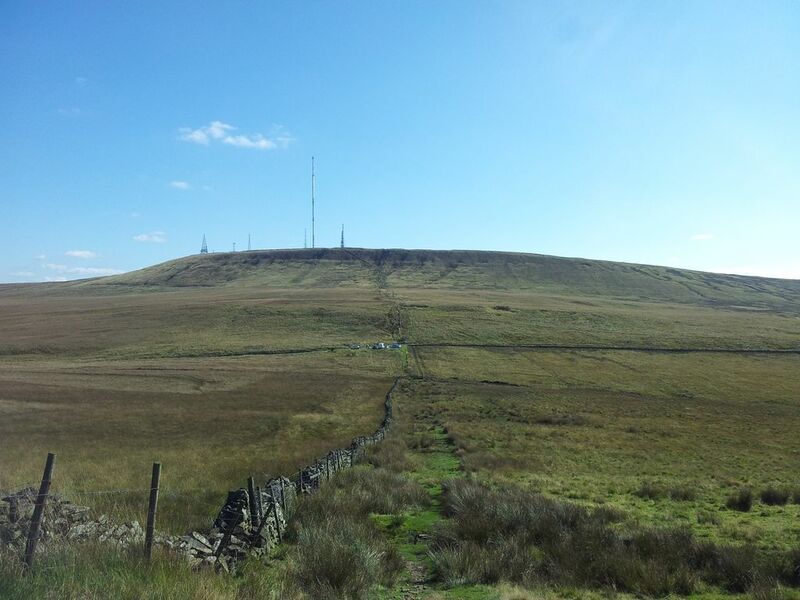 Stage 3 – Great Hill to Winter Hill; (1 hr 25 mins). 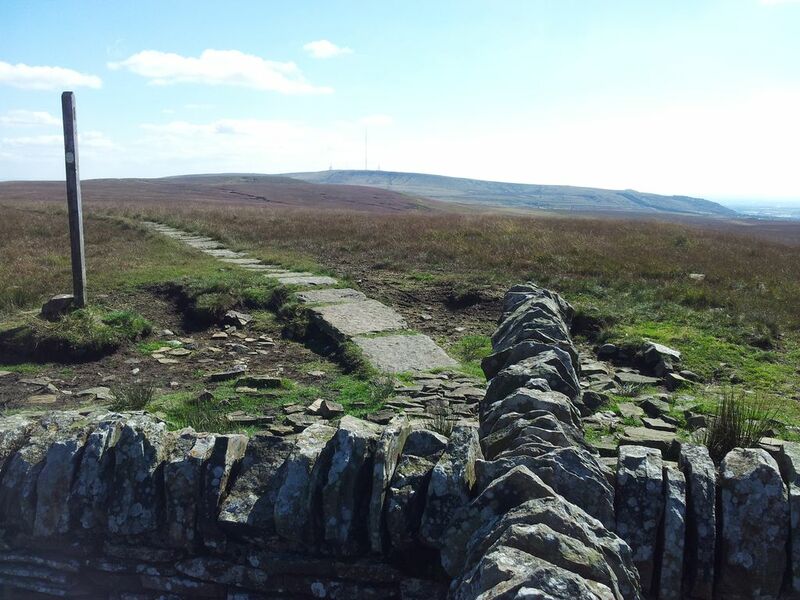 I left Great Hill to follow a flagstoned path snaking over the moors southwards to Winter Hill. Apparently laid by landowners United Utilities in 1999 this was very much appreciated. 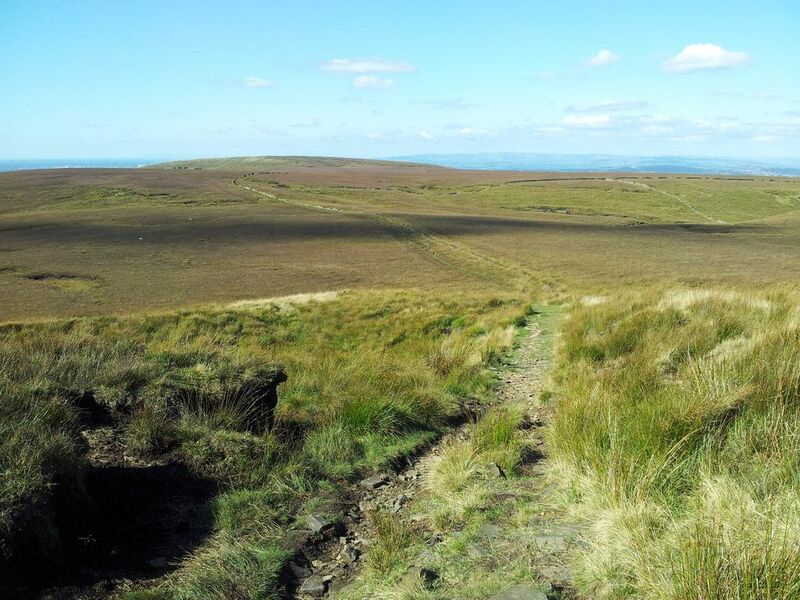 Must have been previously arduous traversing this peaty boggy landscape in anything but drought conditions. Reminded me of the Cheviots, with a notable exception, the reassuring ever present vista west to the distant Lancashire coast. Nice to be home. I suffered a few technological delays up here with my mobile persistently switching off. I particularly wanted to track this route so after two battery changes I was eventually away again. 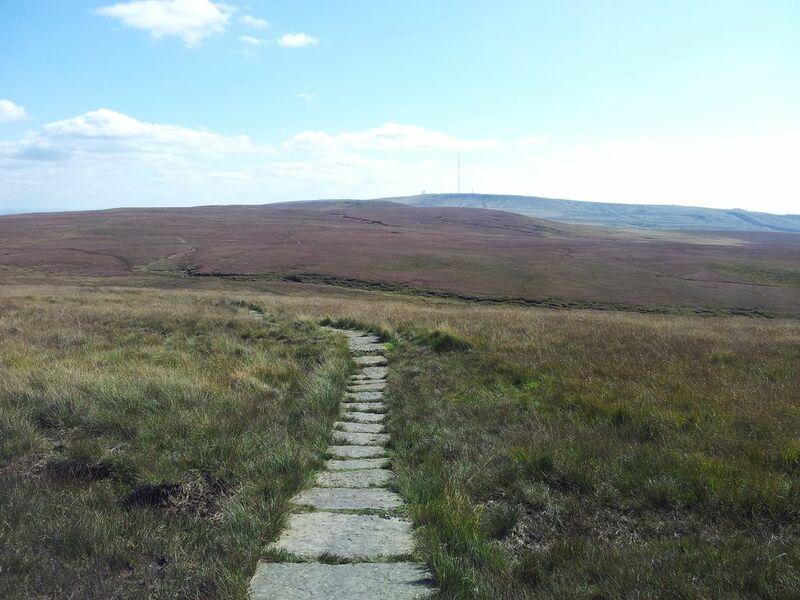 Unfortunately the flagstones end before the moorland descends down to Rivington Road. I followed the remnants of a drystone wall with little difficulty on this dry day. A wet day will be more boggy. Crossing the busy road is quite a contrast to the past hour, I’d only seen a couple of people on the moors yet now there were countless motorbikes whizzing past. 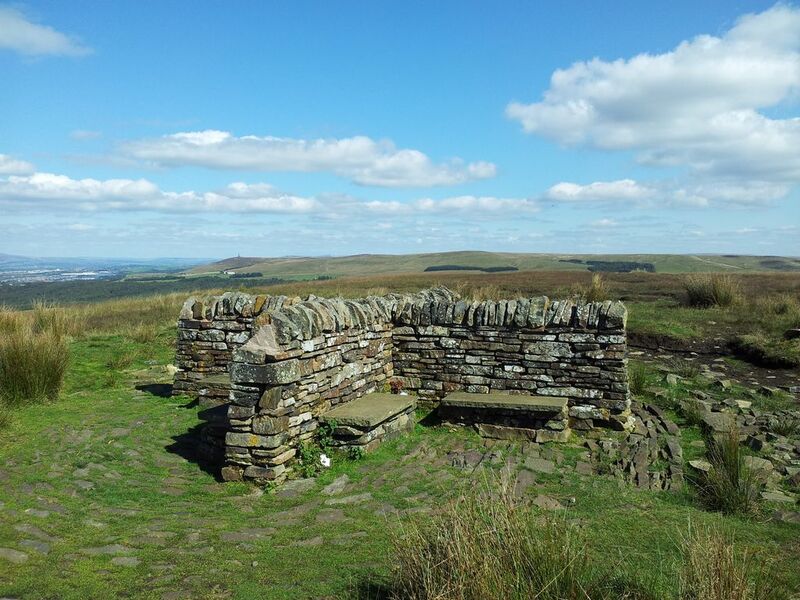 After a quick brownie break I started up the short sharp ascent along Horden Stoops to Winter Hill. The final section along a steep diagonal crumbly path was a little slippery, it’s a direct but hardly uplifting route up and would need a little care going down. Views north however improved with every step. It was a good day to be in the hills. 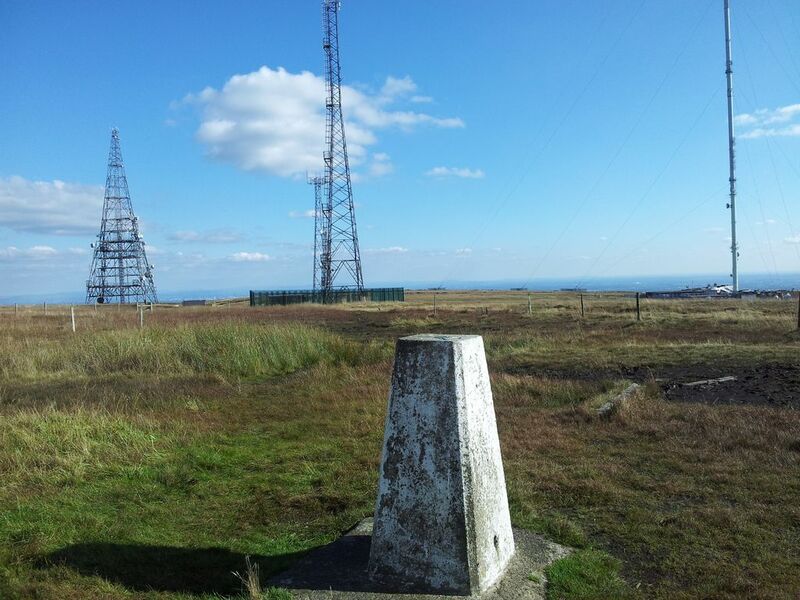 At last the satisfaction of reaching Winter Hill trig point, the highest spot of the day and a top full of interest, the views extensive. Taken less than 20 mins from the road but a slow 1hr 25 mins from Great Hill due to the phone problems. Worth taking a few moments up here though and I ended up chatting to a cyclist who pointed out Snowdon, first time I’ve ever seen it properly. Last time here the Welsh mountains were hazy yet with binocs I could see the Isle of Man. This time it was the reverse, although could again pick out the Langdale Pikes & Bowfell in the Lakes. Chatted with a couple of senior walkers who’d come up from Belmont and discussed the views. 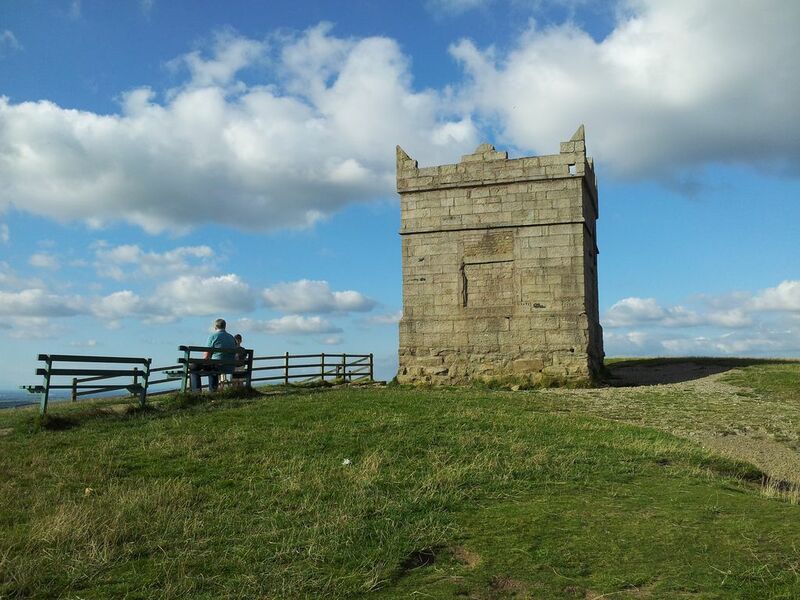 They’d never been on Rivington Pike so I recommended the route from Lower House & Lever Park. They also hadn’t seen the ice sign so set off to see exactly that. 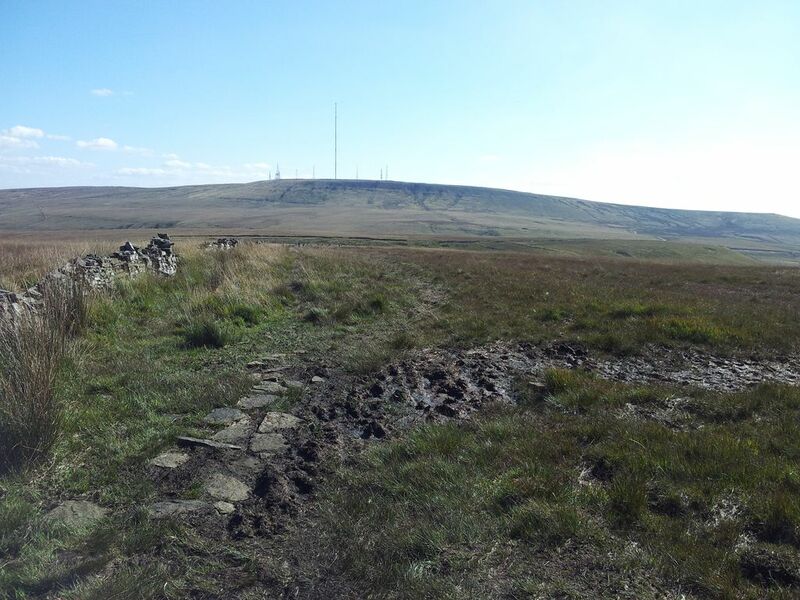 Stage 4 – Winter Hill to Lower House car park; (1 hr 10mins). Time for me to get moving, so I joined the service road to the big aerial. Got talking to a local who pointed out the spot where the 1958 air disaster took place, just yards from the main building. He said he remembers the disaster as a kid as he was in the school playground and saw helicopters overhead for the first time. 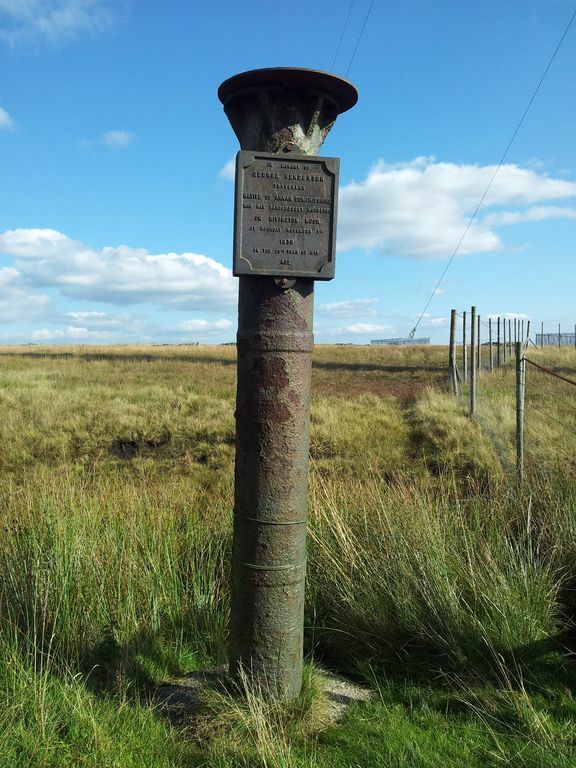 Passed Scotchman’s Stump, scene of an unsolved murder in 1838, which is nice. This is certainly a hill top with a difference, if every top was like this it wouldn’t be good, but they aren’t and this is. There’s logic there honestly. 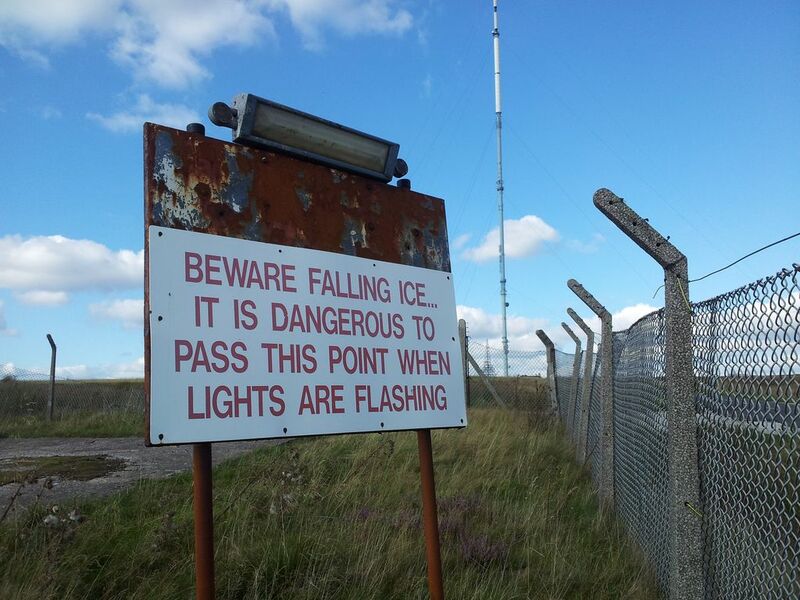 And then the Ice Sign, I do like this……..
From here I left the service road and picked up speed almost jogging (don’t tell my knee joints) along the gentle descent south west to the Two Lads cairns on Crooked Edge Hill. 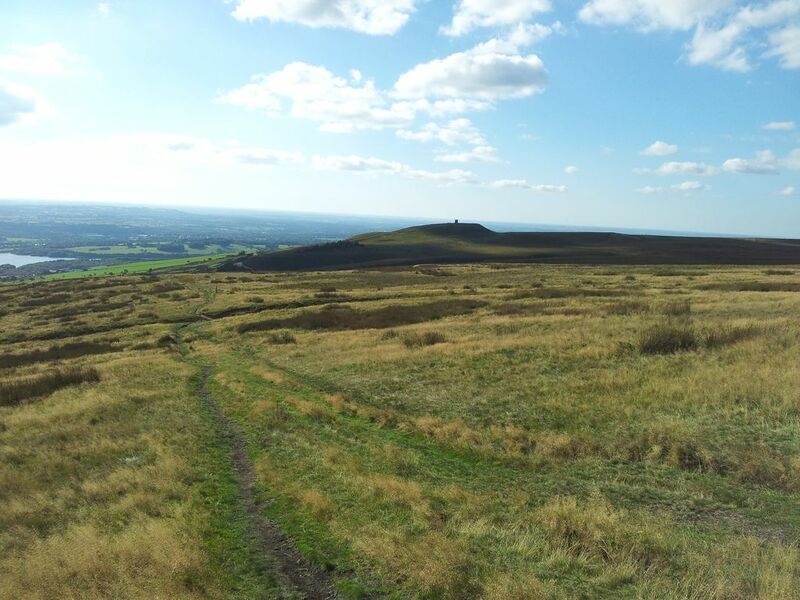 From Two Lads I picked up a path west down to the Dog Kennels (Pike Cottage), joining another private road running north west towards Rivington Pike. Then a short pull up to the Tower and the last ascent of the day, hurray! From the Pike I hurried down towards the car park, diverting through the remnants & ruins of Lord Levers Italian style Terraced Gardens. Quite fascinating and a nice way to end the day. 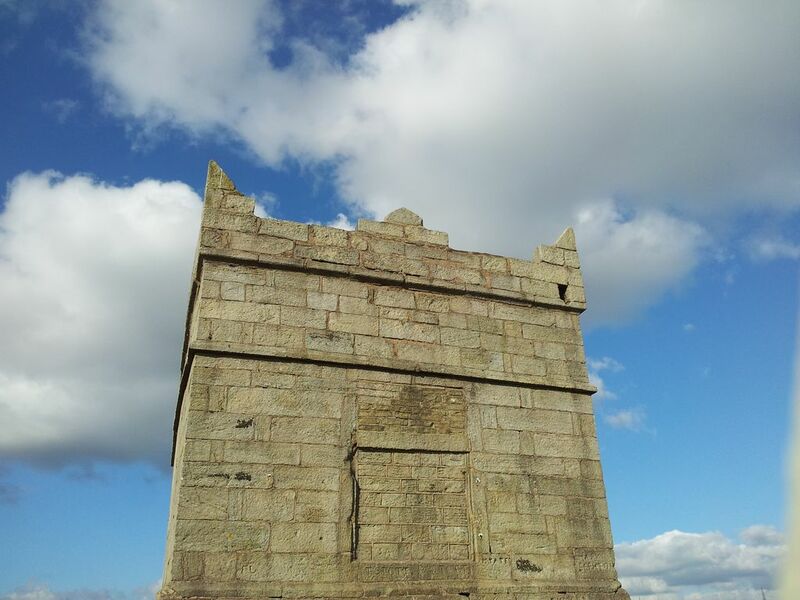 Full of interest oop here, I could just as easily have gone via the Pigeon Tower. 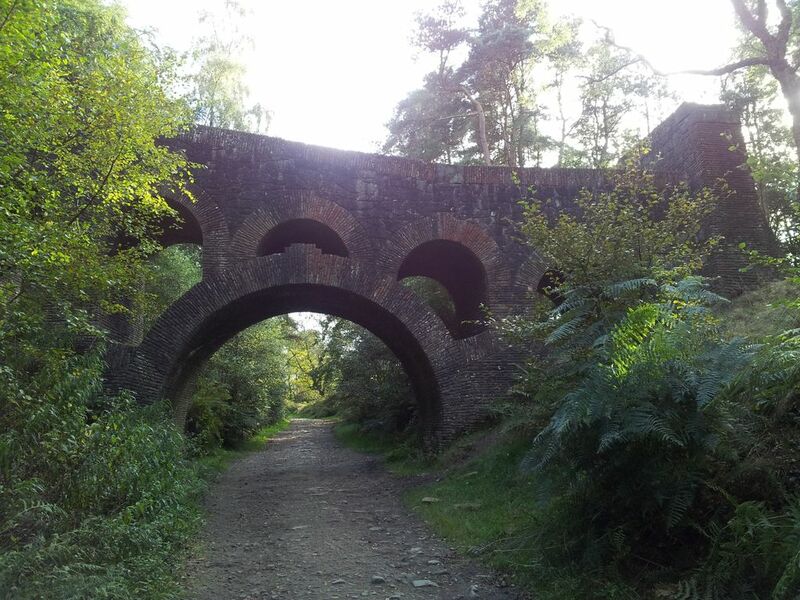 Then across the impressive Lever 7 Arched Bridge turning right to join a main track north. It’s a great track to finish, gently descending to Lower House car park, where my keen senses detected an ICE CREAM VAN ALERT. The van was about to leave and I consumed his last cone of the day, sweet. 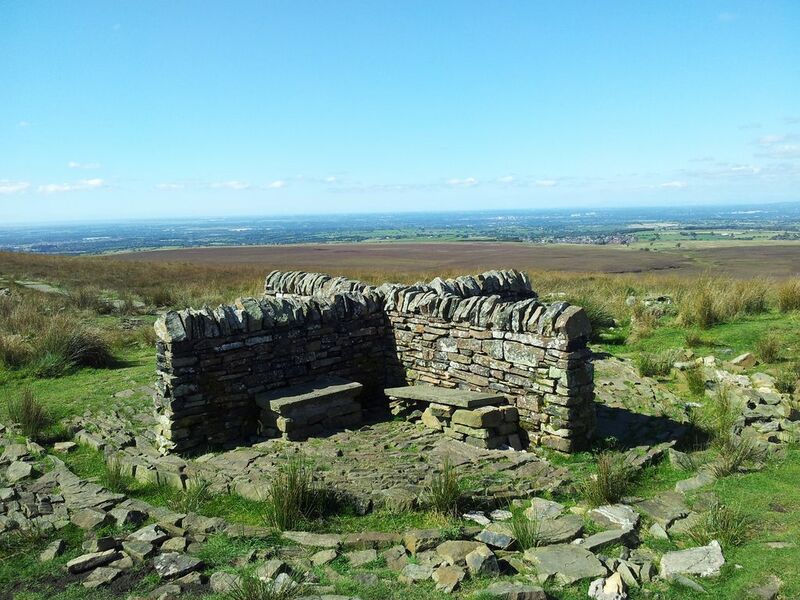 This entry was posted in Lancashire & Cheshire and tagged Chorley walks, Great Hill, Great Hill from Lower House, hiking, Lancashire walks, Rivington Pike, Social Hiking, travel, Two Lads Rivington, walks near Manchester, West Pennine Moors, White Coppice, Winter Hill & Rivington Pike views, Winter Hill route from Lower House, Winter Hill walk. Bookmark the permalink. Really interesting thanks. Literally on my doorstep, I could actually do this from my house, including the Nab, which would add about 5 miles on to the walk. Used to ride around Rivington on my pony. Best times. It’s a lovely place isn’t it, assume you got some nice views?